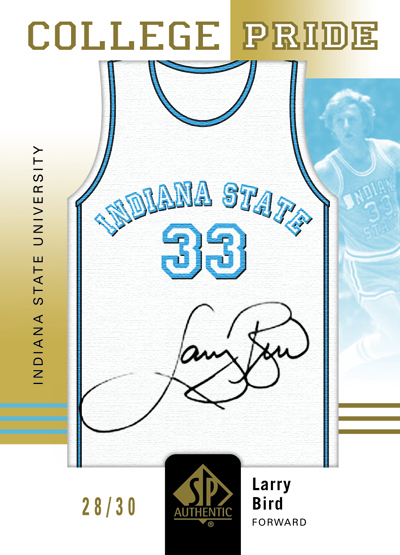 There’s No Lockout for College Basketball: 2011-12 SP Authentic Basketball Releases Today! There is a purity to college athletics that you don’t see in the pros because athletes play primarily for the love of the game. That’s what makes college basketball in particular so special. The season is set to tip off and there are events like the Carrier Classic that will help start the season off right culminating with one of the greatest sporting events of the year; March Madness. The new season will have unforgettable moments as there have been in the past. 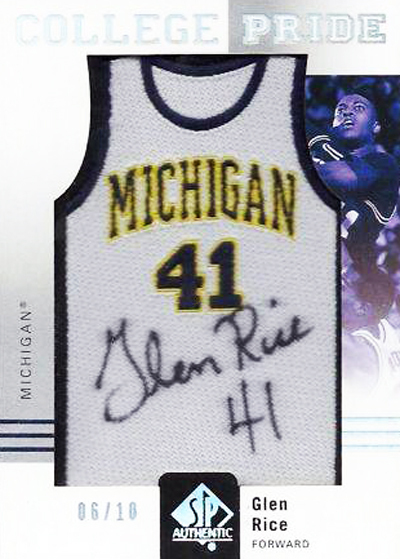 Upper Deck has captured many of those great moments from the past and more importantly, the players behind those moments with the company’s new 2011-12 SP Authentic Basketball trading card product. Before he became "the logo" Jerry West was "the man" for West Virginia. 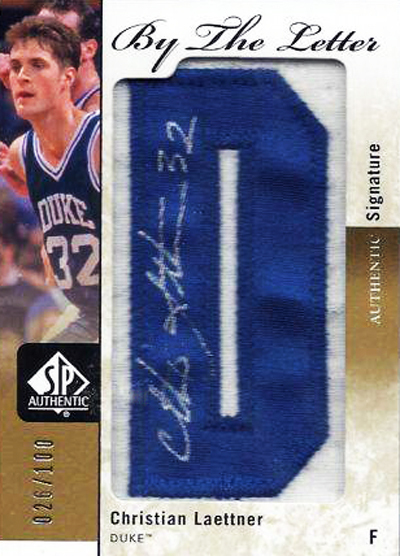 Improving on the success of the 2010-11 release, 2011-12 SP Authentic Basketball delivers big hits with fresh content for collectors. 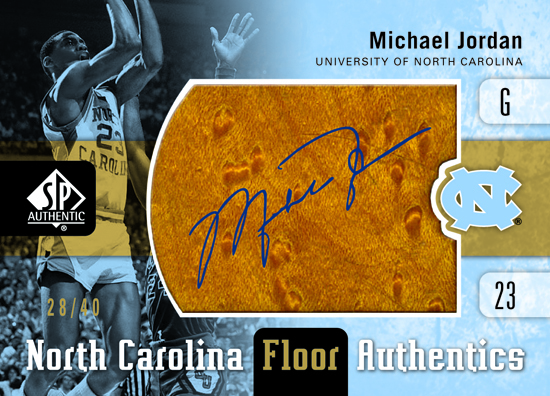 We expect hoop fans will be thrilled to pull College Pride autographed jersey inserts and all new North Carolina Authentics floor cards, featuring pieces of the actual floor from Carmichael Arena where Michael Jordan played in college. Along with Jordan, you can also find players like James Worthy, Kenny Smith, Sam Perkins and more in that set along with some autograph parallel versions of these cards. 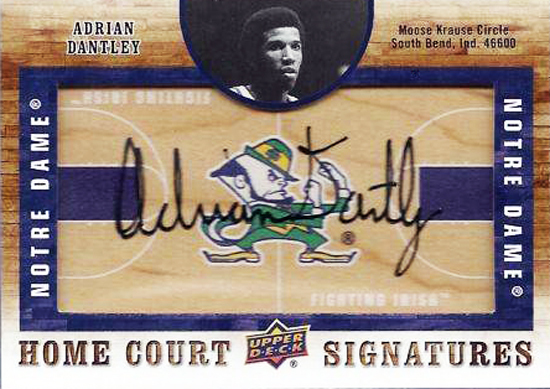 Also new are the Home Court Signatures cards that have the team’s court designed into the card along with the player’s autograph. It doesn't get much better than pulling a card like this! 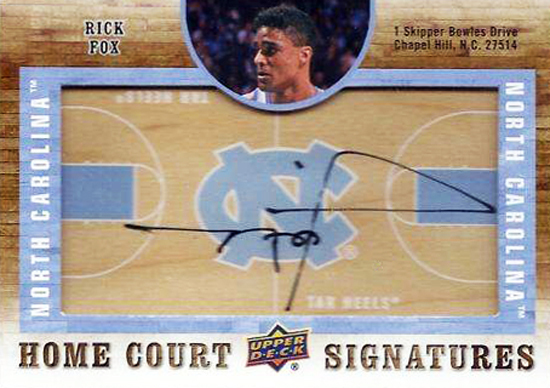 Collectors will also enjoy putting together the By The Letter Autograph cards to spell out their team’s school name like Duke or North Carolina. And some of the real chase comes from the multi-signed Sign of the Times autographed cards that are extremely limited and will likely be in huge demand. 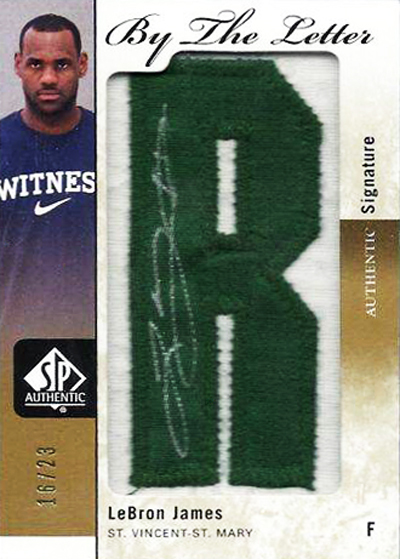 With players like Michael Jordan, LeBron James, Julius Erving, Derrick Rose, David Robinson and Larry Bird signing for the set, collectors are sure to feel like the hit a game-winning shot when they pull their autograph cards. 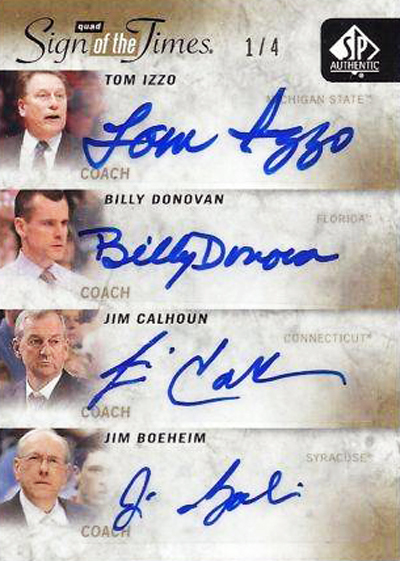 Additionally, you can also expect to see some of your favorite college coaches in the set. With big name play callers like Tom Izzo, Billy Donovan, Jim Calhoun and Jim Boeheim in particular lending their signatures to cards you know that UD is pulling out all the stops to make this a release to remember. Check out some of the coaches talking about their partnership with Upper Deck when we spent some time with them last season to promote their inclusion in the World of Sports set! 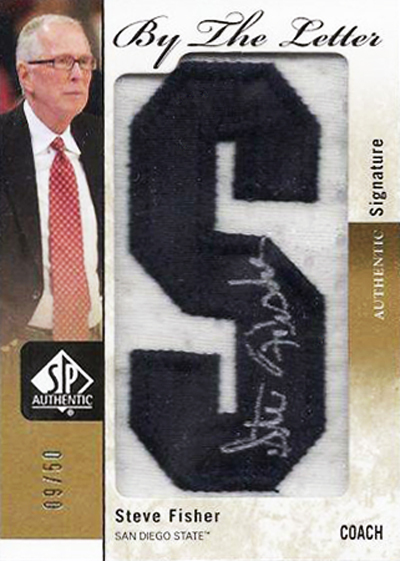 The most important element to 2011-12 SP Authentic Basketball is that it gives collectors the first real opportunity to pull autograph rookie cards of some of the best new prospects like Jimmer Fredette, Kawhi Leonard and Tristan Thompson in particular. All the rookie cards are autographed and serial numbered to enhance their future value as these players establish themselves as stars in the pro ranks. The first Jimmer signed rookie just showed up on eBay and the team here is all very curious what it will end up selling for. Check it out that auction by clicking here. While the NBA lockout continues, college basketball thrives. 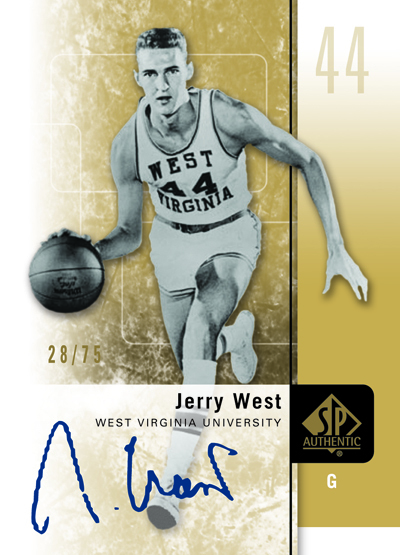 Collect your favorite college basketball stars by cracking packs of 2011-12 SP Authentic Basketball today! Congratulations to Leland, one of my best Sports Cards Plus customers. Leland pulled the pictured Lebron “By the Letter” signature 16/23 and the Quad “Sign of the Times” Tom Izzo, Billy Donovan, Jim Calhoun, Jim Boeheim 1/4. However, Leland’s personal favorite is his 2011-12 SP Authentic Jimmer Fredette Autographed RC. Can’t wait to see what comes out of the next box of 2011-12 SP Authentic Basketball. I’m thinking a Michael Jordan Auto!